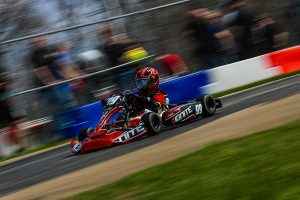 The Margay Ignite Challenge Series started their season last Saturday at Springfield, Illinois’ Mid-State Kart Club. 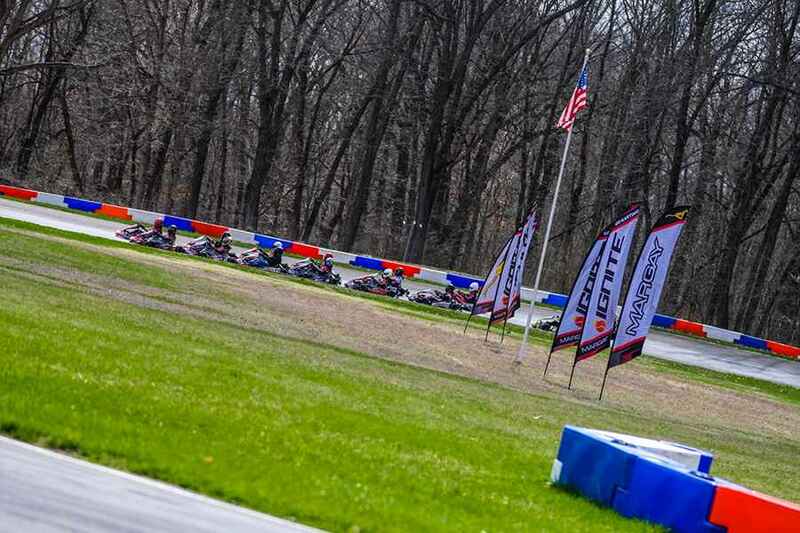 Returning for its third season in 2019, the Ignite Challenge introduces the popular spec Ignite program to a regional level of racing. 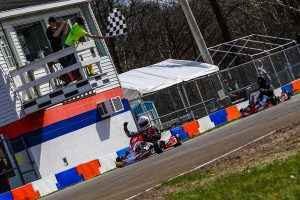 Traveling to five existing Midwest area Ignite tracks, the Challenge schedule will make a stop at the Gateway Kartplex, Autobahn County Club, Mid-State Kart Club, TNT Kartways and 61 Kartway. 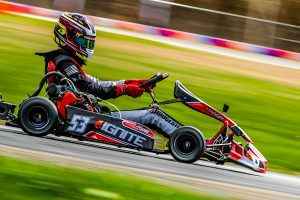 The Ignite Challenge will serve as the next level of competition for local Ignite competitors all around the Midwest, allowing them to race against new competition at some of the most prestigious karting tracks in the country. Racers will be able to take the same Ignite package they run on a weekly basis to new tracks without the hassle of changing weights, tires or slides. Each Ignite track enforces the same 2019 rules package, ensuring that racers can load up the trailer and hit the track with ease. Also headlining the weekend was the debut of the Hoosier R80 to the Midwest. The drivers and teams had rave reviews favoring the new Hoosier R80 tires along with the new double feature format. This year’s event saw a 42% growth from 2018 which will hopefully lead to a strong 2019 season in terms of participation. St. Louis’ Lane Mayer would lead flag-to-flag in both feature 1 and 2 showing dominance of the day. The only threat Mayer saw was from Ignite newcomer, Isaac Wells, finishing second place in the first feature and setting fast time which would put him in the pole position for feature 2. Isaac would hold onto the second position in feature 2 until lap 6 where he was shuffled outside of a podium position. Race Beckman and Wisconsin’s Louis Palmisano would jump into the fight and round the podium for feature 2. 2018 Ignite Junior champion, Reid Sweeney and Carter Pryor were the two front-runners in each feature. In the first feature Pryor would get caught in an early race altercation which gave Sweeney a commanding race lead. Pryor would drop back in the pack which allowed Trevor Eggemeyer and Jaiden Beckman the remaining podium positions. In feature 2, Pryor and Sweeney would trade fast lap times as they battled back and forth within tenths. Eventually Sweeney would take the feature 2 win by 0.450 seconds over Pryor with Eggemeyer rounding the podium. In feature 1, Evan Stamer would continue his Ignite win-streak although not dominant by any means as Hunter Richardson and Eric Loddeke were hot on his tail all race. Richardson would take the top spot heading into the white flag but Stamer would re-pass him into turn one and never look back. It was Ken Williams who would set the fast lap after feature 1 which would award him the pole for feature 2. From there Williams, Loddeke and Richardson would battle it out for the top spot. 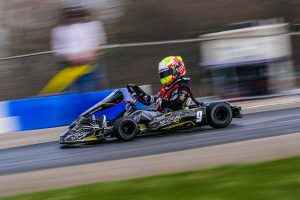 Gapping the field, these drivers would trade positions but eventually it was Richardson who would take the feature 2 win by 0.476 seconds and earn the points lead heading into 61 Kartway. Ken Williams, one of four drivers pulling double duty between Ignite Senior and Masters would show his endurance by taking the top spot in both Ignite Masters features. Brandin Moore would trail Williams in both features along with a pole in feature 2. Rod Scharf and Mike Long would share the remaining podium spot between both races in a very competitive Ignite field, growing double from the previous year! In Ignite Heavy, Rich Fasching would start up front in both races but it was Craig Loddeke who took him to school with impressive moves in both features. Loddeke would end up taking the top spot in both features achieving his first ever Ignite wins. Mark Gergen would also stay in the mix to capture second at his home track where Fasching would round the podium.